Welcome to Wine Quiz number 18. Please choose from the list of possible answers to each question. Enjoy the quiz? Please sign up to my newsletter and we’ll keep you up to date with the latest news from wine-pages, including all new quizzes. No spam guarantee. 1: Sangiovese is the main grape of which of these wines? Sangiovese is the main grape of Chianti and most of the red wine appellations of Tuscany. 2: Sangiovese is the main grape of which of these wines? Brunello di Montalcino is a small but very high quality region, the top wines using the Sangiovese grape almost exclusively. A Quinta is a farm, including wine estates. 4: The Napa Valley accounts for what percentage of all Californian wines? Though Napa is the most famous Californian appellation, the volume of wine produced is small relative to the whole state. 5: Which Champagne house produces the Cuvee Sir Winston Churchill? Said to be his favourite Champagne, Pol Roger produces this wine in his honour. These are all southern English counties, though they extend righ across the south of the country. 7: Valladolid and Burgos are sub-regions of which larger wine region? These are sub-regions of Ribera del Duero in northern Spain. 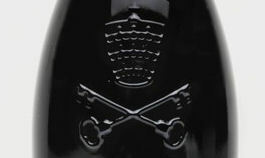 8: Which globally famous wine estate is this? 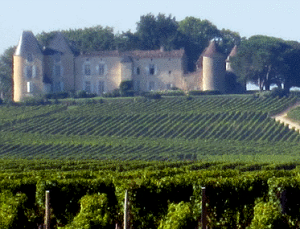 This is the classic view of Chateau d’Yquem in Sauternes, Bordeaux. 9: What is the most planted red wine grape in Alsace? Pinot Noir is quite widely planted, and plantings are increasing. There is a lot of Pinot Noir in Alsace, and some top producers there are planting more as they really believe in its potential. 10: Rosé des Riceys is produced where? This is a red wine from the Champagne region, made from Pinot Noir. 11: The Vranec grape is most closely associated with which country? Though grown in other countries, from this list, Macedonia is the answer. 12: What is mainland Spain’s most easterly wine region? Emporda lies high in the extreme northeast of the country. 13: Cabernet Franc and Sauvignon Blanc are the genetic ‘parents’ of which variety? It seems obvious once you know it that CABERNET Franc and SAUVIGNON Blanc produced Cabernet Sauvignon. The five main grapes of red Bordeaux wines are Cabernet Sauvignon, Merlot, Cabernet Franc, Petit Verdot and (Malbec). Malbec, now very popular in Argentina, is one of the minor grapes amongst the five widely used Bordeaux varieties. 15: What is the name of this Australian wine region, due south of Melbourne? This is the Mornington Peninsula, an important wine producing sub-region of Victoria. 16: I’m drinking Nerello Mascalese. Where is it likely to have come from? This is one of the main grape varieties grown on the Italian island of Sicily. 17: For what wine is the formation of ‘Voile’ essential? This is a blanket of yeast, known in Sherry as ‘Flor’, that creates these unusual wines. 18: Which of these New Zealand regions is best known for Bordeaux style wines? The island lies just off the coast at Auckland, and produces some of New Zealand’s best Bordeaux-style reds. Malbec from Mendoza in Argentina is possibly one of the biggest successes of recent years. 20: What wine is in this bottle?